Victorita Lacatusu was born on March 13th 1970.She spent her childhood in Somanesti-Gorj, where she attended the first years of scool.In Tg-Jiu she went on to the High School number 4,then she attended courses at Popular Art School,canto class,with teacher Mihaela Florescu . 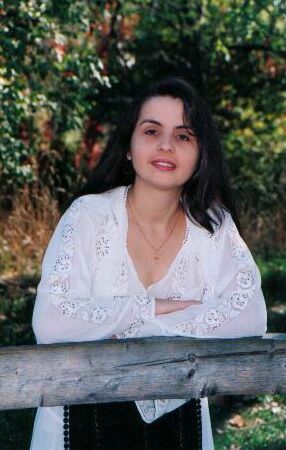 In 1995 she was employed at "Ansamblul Artistic Profesionist Doina Gorjului" from Tg-Jiu where she had a rich artistic activity,took part at many shows in the country and abroad,being a really messenger of Gorj'song. Always a special guest at broadcast folklore "Tezaur Folcloric" on the TV-1,TV Acasa, local TV too. Also she is always a special guest at Radio Romania, Radio Romania International, Radio Constanta, Radio Oltenia Craiova and at many locals Radio FM.